Freeway Fleet Systems has announced a series of enhancements to its mobile apps that improve the management of defects and compliance. Freeway’s mobile software running on smartphones and tablets enables paperless working in the workshop and elsewhere. The new ‘defect manager’ app is said to speed up workflows and gives fingertip access to an array of defect-related data, including historical records of previous maintenance work and parts. Aiding workshop staff while on the job, the defect management app provides real time access to documents about the vehicle being worked on, including parts, manuals and diagnostic sheets. It also allows identification of the parts related to a defect and enables direct issue or request from stores. “Our widely used Vehicle Inspection app now includes a host of enhancements requested by our customers. 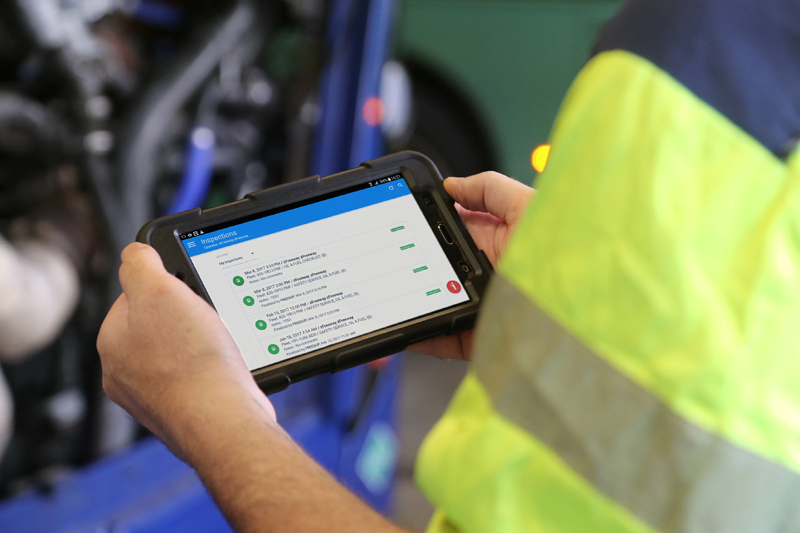 As vehicle inspectors began using the app out on the workshop floor, they immediately realised the potential for the system and recommended these enhancements,” explains Patrick Tandy, Freeway’s Managing Director. Freeway’s software features an all-in-one defect, schedule, document and asset management system used in many of the UK’s leading bus operators. Adding the historical data already in the system to the tablets, and extending part issues and document access to the workshop floor was a natural progression for the mobile software, says the company. Freeway will be attending Euro Bus Expo taking place at the NEC Birmingham, 30th October to 1st November, 2018. In addition to the new mobile app developments, the company will be showing its latest Earned Recognition compliance tools and will demonstrate how its software integrates with fleet operations, ticketing and accounts systems.